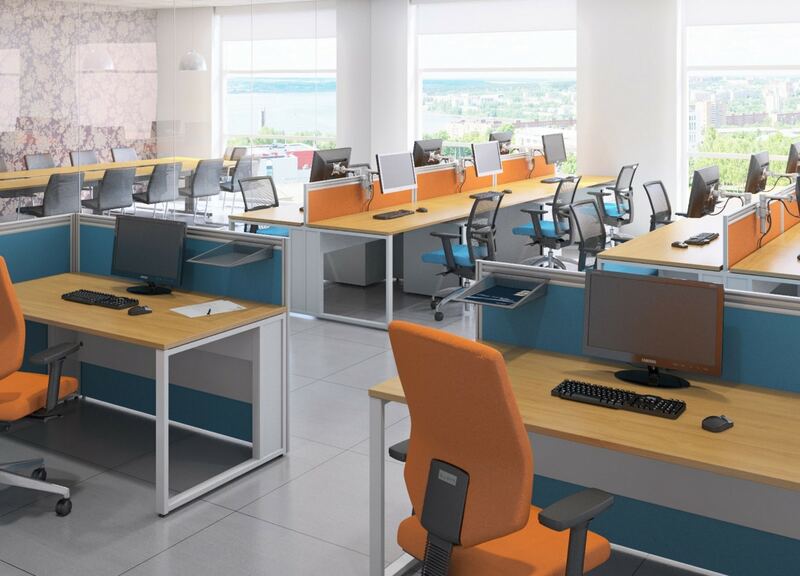 An office refurbishment is the ideal solution for businesses looking to freshen up their working environment. This could be a more cost efficient way of generating more space, attracting new staff and improving team morale without the need to move premises. An office refurbishment could seem a difficult task. That’s why at Pure Office Solutions we offer a complete service. Firstly an initial consultation to understand your business needs, before designing an office solution that matches your business requirements. All projects are then completed by our experienced installers. An inspiring and modern professional working environment is the key to keeping staff happy, motivation high and appealing to customers. 91% of UK workers believe their office environment directly impacts their productivity, which as business we know effects the bottom line. If your business environment is lacking that spark then an interior office fit-out could be exactly what your business needs. At Pure Office Solutions we understand the importance of your refurbishment meeting your businesses needs and ambitions, therefore we offer a fully integrated service with your own designated project manager to seamlessly deliver the development from start to finish in line with your chosen budget. As company we take a long-term view on all projects, making sure we get those spot on. This is highlighted by our extensive portfolio range in the commercial and office sector all over the UK. Finance and Leasing available to support all projects, click here!